Childhood cancer deaths decline | Judy Keen, Ph.D. The CDC just released a new report on death rates from childhood cancer. Good news! Cancer rates declined by 20% overall from 2009 – 2014, the last year that statistics are available. There was a decrease in both males and females, in all age groups, and in African American and Caucasian children. 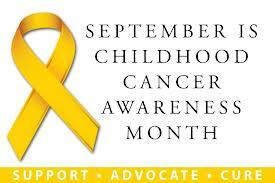 The number of children with leukemia has declined, making brain cancer the leading cause of childhood cancer. There was no increase in the number of brain cancer cases.